In Paradise Lost Milton produced poem of epic scale, conjuring up a vast, awe-inspiring cosmos and ranging across huge tracts of space and time, populated by a memorable gallery of grotesques. And yet, in putting a charismatic Satan and naked, innocent Adam and Eve at the centre of this story, he also created an intensely human tragedy on the Fall of Man. 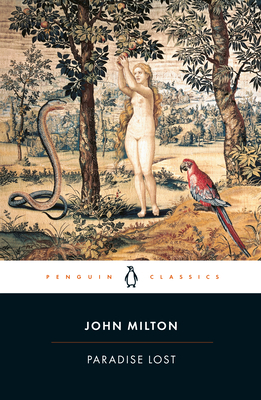 Written when Milton was in his fifties - blind, bitterly disappointed by the Restoration and in danger of execution - Paradise Lost's apparent ambivalence towards authority has led to intense debate about whether it manages to 'justify the ways of God to men', or exposes the cruelty of Christianity. John Milton (1608-1674) spent his early years in scholarly pursuit. In 1649 he took up the cause for the new Commonwealth, defending the English revolution both in English and Latin - and sacrificing his eyesight in the process. He risked his lifeby publishing The Ready and Easy Way to Establish a Free Commonwealth on the eve of the Restoration (1660). His great poems were published after this political defeat. John Leonard is a Professor of English at the University of Western Ontario.